Hello folks! Remember those moments in gaming when you were just in awe or plain said “wow?” We do, so welcome to Gamer Horizon’s The Top 5: Wow Moments in Gaming! We’ve got quite the list with tons of variety. Let’s get to those lists! 5. Duke Nukem Forever is finally released – Can you believe that this game finally came out after a little over a decade of declaring the game to be vaporware? And it’s been finished by Gearbox Software, no less? 4. The release of the GameCube in Japan – This might come as a surprise to many people seeing as how I’m generally the most critical of Nintendo in the bunch, but I saw a lot of promise coming from the GameCube when it was released in Japan. The system had Luigi’s Mansion, Super Smash Bros. Melee, and Pikmin all within the launch window and these imaginative games really showed that the system, despite being underpowered, can deliver some really engaging experiences. I should also point out that the GameCube was ATI’s first foray into providing console hardware, followed by their involvement with the Wii, the Wii U, the Xbox 360, the Xbox One, and the PlayStation 4. 3. The release of Grand Theft Auto 3 – A buddy of mine, who was a total casual gamer, proclaimed that Grand Theft Auto 3 would change the industry. I didn’t believe him… until the day finally came when it came out. Prior to that point, Grand Theft Auto had primarily been a top down action game where, on occasion, you’d be able to get into cars. Grand Theft Auto 3 worked within the confines of its engine and managed to weave a captivating and unique experience that many still aspire to copy to this day. 2. Buying my first console – For me, this was the PlayStation One. I used all the money that I got from working at AMC Theatres and purchased the system and a copy of Final Fantasy VII, which was the most incredible RPG experience I’ve played at that point. Prior to this, I was disenchanted with the games coming out on the Saturn and the SNES and stopped playing games completely. The PlayStation brought me back into gaming like none other. Heck, I even owned one of the first Dual Analog controllers. Yep, no “shock” in the name either! 1. The return of traditional adventure gaming – Telltale Games had been championing the episodic model on PCs since the beginning of their company and that bet has paid off in spades. 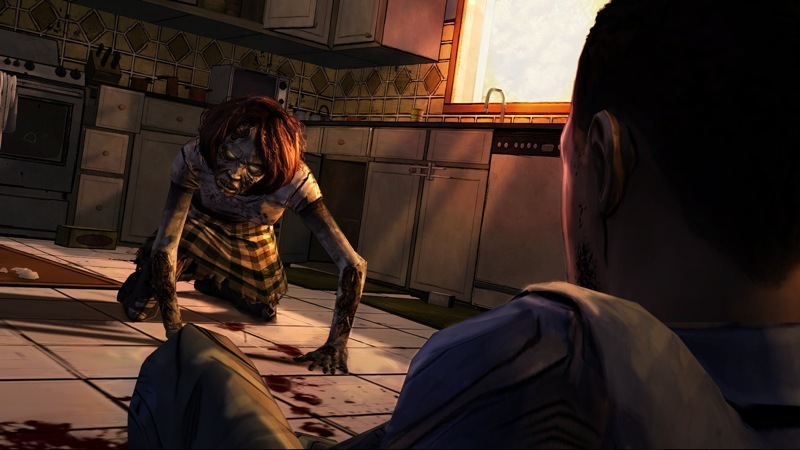 With the advent of mobile computing and their foray into downloadable console game markets, the company finally hit gold when Telltale’s The Walking Dead became Game of the Year last year. Since then, traditional adventure gaming has been given a bit more exposure, with Telltale Games announcing a series based on the hit comic series Fables, Goodbye, Deponia the third in a series of long running adventure games, and an episodic sequel to Dreamfall: The Longest Journey called Dreamfall Chapters in the works. 5. Playing Beatmania Complete Mix at my college for the very first time was an eye opening experience. I had discovered that my two greatest passions—music and video games—had come together in an entertaining and challenging way. What followed was an absolute obsession with the series, thousands of hours of fun and some damage to my wrists that is probably permanent. That doesn’t bother me at all; I just regret that Beatmania never became popular in the United States. Guitar Hero and Rock Band were fun, but Beatmania will probably always be my favorite music game of all time, unless something new and incredible comes along. 4. Earning the Mile High Club achievement in Call of Duty 4: Modern Warfare was an inconceivable moment for me. I had to pick between this achievement and completing Call of Duty 2 on Veteran, but the actual moment of euphoria when I earned Mile High Club was so powerful that it easily earned its place on this list. After several hours of attempting the mission (which was only a minute or two long), going to sleep, and attempting it again for a couple more hours the next day, I finally did it and literally jumped up and down in my living room waving my arms around like a madman—something I don’t make a habit of. 3. Getting to what I thought was the end of Castlevania: Symphony of the Night and then discovering that I would have to explore the entire castle again, but inverted, and full of much more difficult enemies, was one of the greatest gaming moments of my entire life as a gamer. The game up until that point was already so engaging and fulfilling that I was completely satisfied with my purchase. Arriving at the end only to realize that it was the halfway point was like getting a sequel without the usual multi-year wait. 2. For causing me to laugh to the point of tears, Portal 2 earns a spot on the list for a moment right at the beginning of the game. In order to confirm that the player’s character doesn’t have “severe brain damage,” all the player has to do is press space to talk, but doing so results in merely jumping. Pretty much confirms the brain damage, but might as well try again. Say “apple.” Of course, pressing the space button again triggers another jump. What can I say? It hit my funny bone. 1. If there was ever an incredible moment it gaming, it was waking up in the World of Ruin after everything goes wrong in Final Fantasy VI. The entire world that I had been exploring throughout the game had changed to a post-apocalyptic state, and so I got to explore the world all over again. Throughout that process, it was amazing to appreciate how vastly the world had changed, but on top of that, it was the change in tone and emotion that was impactful. The quest from that point of the game onward was so much more meaningful, especially considering that the fate of almost all of the characters was unknown. Hell, at that point, I didn’t even know if there was a world to explore at all because I stuck on a solitary island with nothing to do but catch fish. 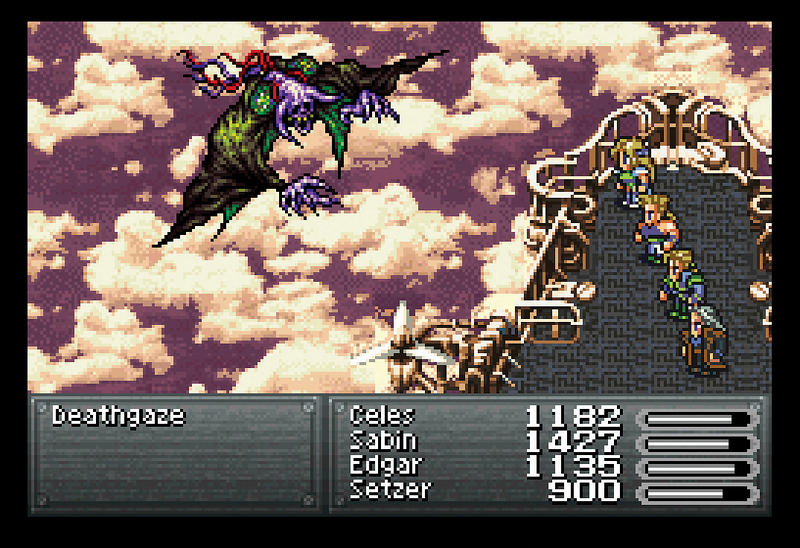 I’m ready to play Final Fantasy VI again right now! I hope Square Enix is working on a remake for this most deserving title. 4. Aeris dying in Final Fantasy VII made me think I did something wrong in the game. I was so upset that I restarted the game from the beginning and all the way up to that part and realized there was nothing I could do to save her. 3. The moment I gave up World of Warcraft, canceling my subscription. It was a fun game to play but was reliant on making friends for raiding and dungeon runs. I eventually joined a guild but they rarely did anything like that. After the launch of the Burning Crusade and shelling out $15 a month, I had enough and never looked back. 2. When I first heard Bioware was creating Star Wars: The Old Republic, I got excited and reserved my digital copy immediately. When the game launched, I played for hours running through the story and exploring every inch of the game I could find. It was one of the best gaming experiences I had but like everything else, the game outlasted it’s fun factor and I canceled my subscription and moved on. 1. The gaming wow moment that stands out the most for me is working at FuncoLand and being there during the original midnight launch of the Sega Dreamcast. I received and inventoried all the consoles, components, and games that came in to the store. When midnight rolled around, I clocked out and was the first person in line to purchase a Dreamcast. I went home, plugged my system in and player for a few hours as I had to go to work the next day. 5. The truck chase in Uncharted 2 – I’ve talked about this a few times in context of certain articles, but there is a reason. It’s one of the best and most exciting moments of gameplay I had ever witnessed. You could only see something this absurd and exciting in a movie, and even then you never have. It took the truck chase scene in Raiders of the Lost Ark and turned it up to 11. Jumping, shooting, punching all from truck to truck. Naughty Dog couldn’t top it with Uncharted 3, though they came close and I certainly welcome them to keep trying. 4. Final Fantasy III – Yes, the whole thing. I created a character, developed it, made choices that actually affected how my game turned out. It was mind-blowing then and it’s mind-blowing now. Sure it’s been iterated upon to some amazing results, but to think how far ahead of their time the developers were is, well, mind-blowing. It was a truly epic game. 3. Grand Theft Auto III – Wow. I remember reading a cover story in PSE2 magazine about the game, and I couldn’t believe they were going to pull it off. A giant open world in which I could do anything. I was already a huge fan of the series having played all 3 prior releases for that original PlayStation but what Rockstar was planning was unheard of on consoles. To this day I think it is the single most influential game of all time. 2. Playing Resident Evil for the first time – My friend had picked up the Sony PlayStation and Resident Evil. I had only heard about the game and it didn’t seem like much from the cover but when that first zombie turned its head I freaked out because now I could play a horror video game with “realistic” graphics as opposed to the LJN non-game that was Friday the 13th. 1. 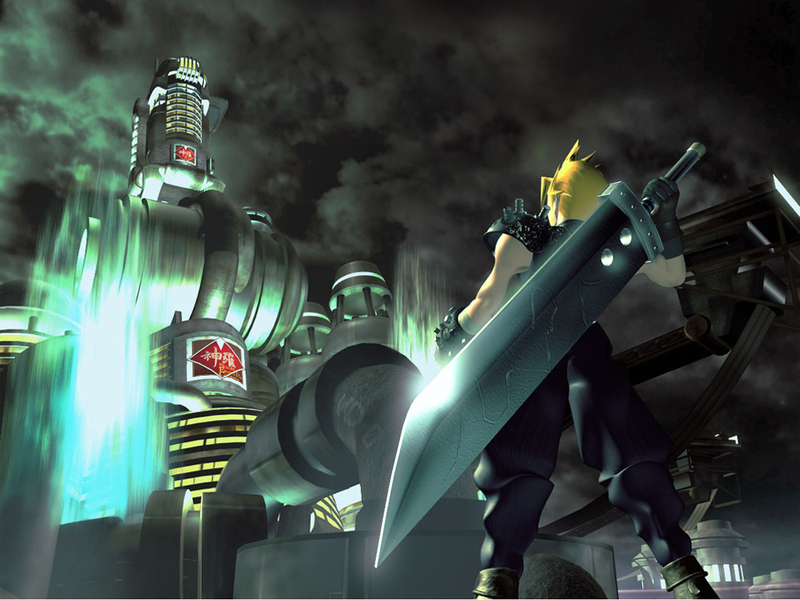 The Final Fantasy VII trailer – Coming from 16-bit gaming with sprites and midi soundtracks, seeing the Final Fantasy VII trailer in all of it’s CG glory was a vision of the future. Sure, it’s a future we still haven’t really realized but at the time it was game changing. 5 – Guilty Gear Xrd. I am a sucker for 2D Fighters, and I think that’s obvious. However, the very deliberate art style used here, and what’s probably the gutsiest use of the Unreal Engine of all time have me super excited. And I will never get tired of that soundtrack. 4 – Nintendo 3DS. I saw a demo unit in a Best Buy playing Pilotwings. I bent down, and turned up the 3D. 15 seconds later I turned to my girlfriend and said, “I have to buy this,” then preordered when I got home. The shock of the 3D visuals is what sold me; I couldn’t believe them. Now, of course, 3D is seen as a fad in the past, but I still prefer to play my 3DS games in 3D, with certain exceptions. 3 – Dance Dance Revolution. Right at the turn of the millenium, this was totally awesome. Maybe because I was in better shape back then (or maybe this IS why I was in better shape back then), but I could play this for hours. We all knew the songs, and some of us were into it so much, we modded our dance pads with materials from our local Home Depot. 2 – Metal Gear Solid 2. I saw the trailer for this, and I said out loud, “Holy crap that lighting looks amazing.” Watching a shadow cross a spotlight in a realistic fashion the likes of which I had never seen before made me super ridiculously excited for the future of video games. 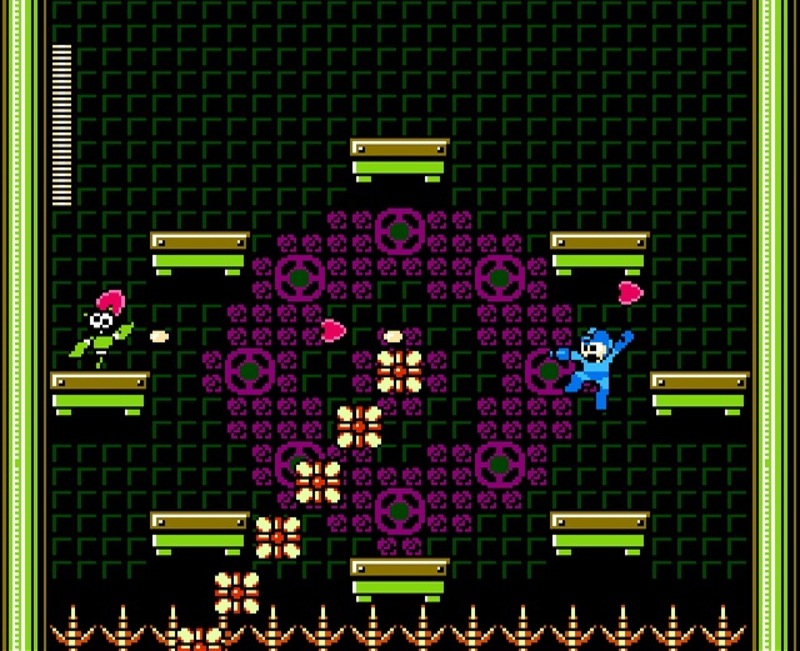 1 – Mega Man 9. Mega Man was my favorite franchise growing up, but as I got older, the hopes of seeing a new Mega Man game died. Even as we got spinoffs, I wanted a Mega Man 9. I thought it would never happen, but not only did I get a Mega Man 9 in 2008, but I got a Mega Man 9 made to look like the NES games of old, of my childhood, with the same kind of soundtrack, and even Keiji Inafune as a designer. I didn’t expect it to be, arguably, one of the best Mega Man titles of all time. That was just a bonus. So that’s our list of Wow moments in gaming. What are yours?